Plans to make water companies add fluoride to tap water in areas where health bosses and the public request it have been backed by the House of Lords. The measure, included in an amendment to the Water Bill, would take decisions on fluoridation out of the hands of the privatised utilities which now control the water supply. But critics claim the move would be tantamount to mass poisoning. They fear fluoride could be linked to increased risks of cancer, hip fractures, kidney trouble and birth defects. The government has previously insisted there is no evidence to support claims of health risks from adding chemicals to drinking water. Peers backed the move by 153 votes to 31, in a debate on the amendment on Wednesday evening. Water companies have had the power to do add fluoride to water supplies since 1985 but have not done so for fear of legal action from those opposed to it. Under the amendment, local health authorities will indemnify water companies if local people agree to fluoridate supplies, where it is necessary for public health. Fluoridation will only take place if a water authority has been asked to do so by a strategic health authority, after consultation at local level has shown sufficient support for it. Last week, public health minister Melanie Johnson said there was a "strong correlation" between fluoridation and better dental health. She told MPs: "What we are enabling is for local communities to decide what they want to do on this matter. "No fluoridation scheme will go ahead unless there has been wide-ranging consultations in which both the proponents and the opponents of fluoridation have been encouraged to participate and the majority of the population have indicated that they are in favour." The move was welcomed by Andy Burnham, Labour MP for Leigh, who said: "Can I thank you for ignoring the bluster of the flat earth society and agreeing to bring forward an amendment that will help improve children's health in this country." But Andrew Murrison, the Conservative MP for Westbury, said countries including Canada, Finland, Cuba and parts of Germany were abandoning water fluoridation but not seeing any change in tooth decay rates. "Why should we be considering bucking that trend in this country and introducing this illiberal measure?" Large area of the east of England have naturally-occurring fluoride in their water supplies. 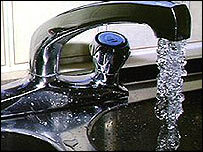 Fluoride is already added to the water supplied to approximately 5 million people in areas such as Birmingham. Jane Jones, of the National Pure Water campaign group, has coordinated opposition to the fluoridation of water supplies. She says: "To medicate the whole population against their will is not the way to deal with tooth decay." But the idea is backed by the British Dental Association (BDA), which believes fluoridation would have a significant positive impact on the health of children's teeth. John Renshaw, of the BDA, said: "Dentists welcome this decision which has the potential to remove the needless pain and misery of tooth decay for thousands of people in the future. "This simple step will give children across the country a better start in life." He added: "There is strong evidence that targeted fluoridation reduces tooth decay and no evidence that fluoride at the levels that would be added to water supplies is harmful. "We will continue our campaign to ensure this vital measure becomes a reality."